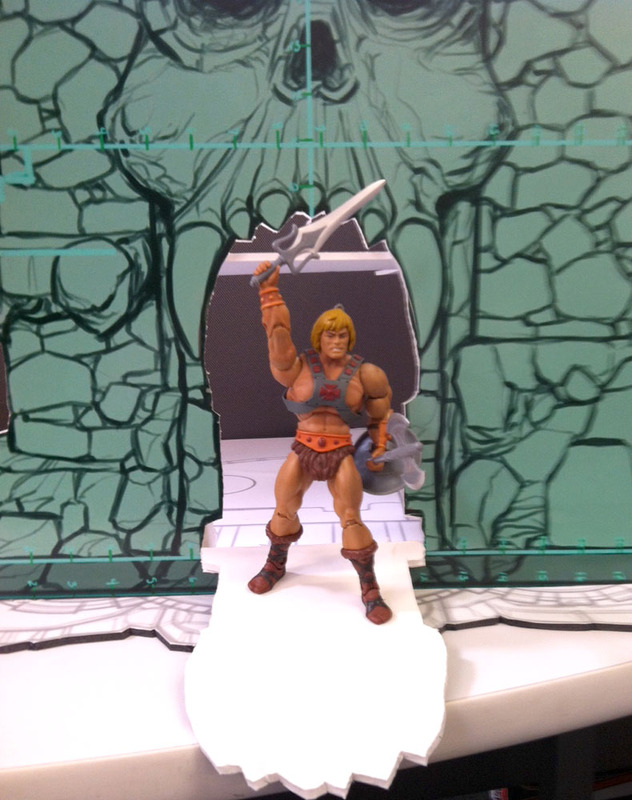 He-Man.org > News > Today is the LAST DAY to preorder Castle Grayskull! 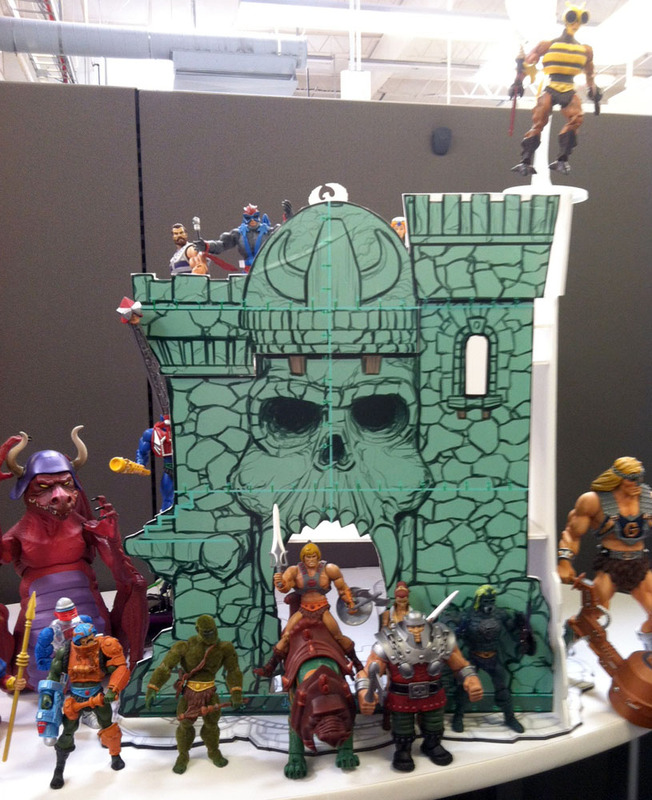 Today is the LAST DAY to preorder Castle Grayskull! The castle costs 250.00 but you won't be charged until next year when Grayskull's release date draws closer. You have almost an entire year to save for the charge. The estimated shipping weight of the castle is 20 lbs. You can use shipping calculators on USPS and UPS to get an early idea of shipping costs. Fans who preorder a Castle Grayskull will also get an exclusive Cross-Sell poster. Click here for more details. 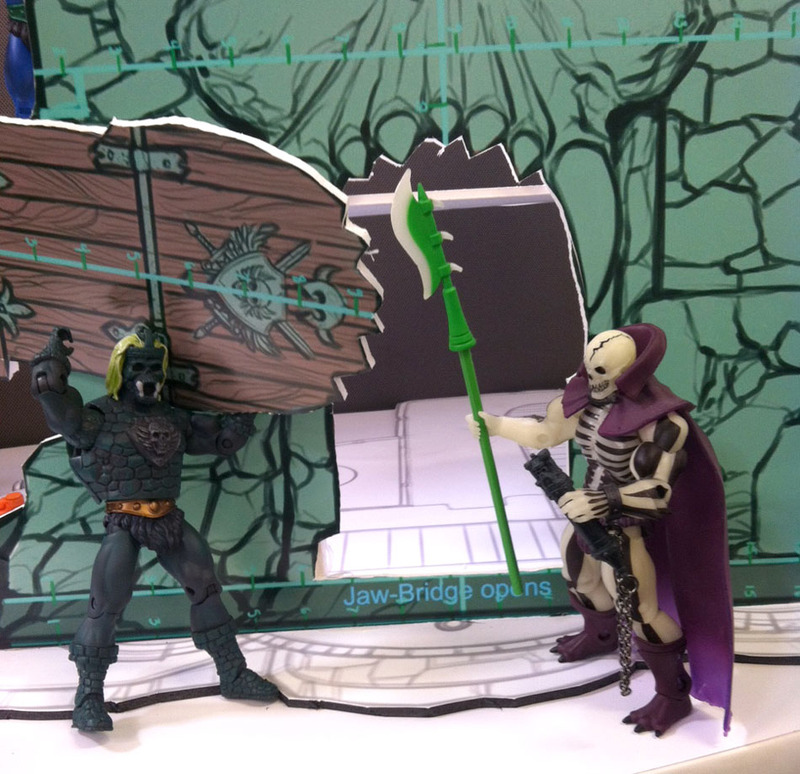 Mattel designed Grayskull to display as many figures as possible, even adding a third level across the top to attack or defend from below. If you only want a one-sided facade as a backdrop display, simply only assemble the front half of the Castle. Click here for more details. 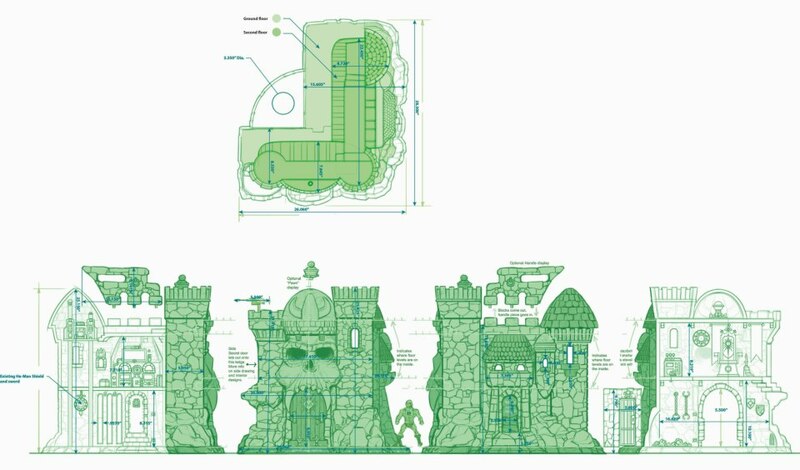 The MOTUC Castle Grayskull will be in scale with the MOTUC figures. Click here to see a foam mockup and here it is again in scale to Voltron and Stay Puft. Rudy Obrero, who did the original vintage Grayskull boxart, will return to do the boxart for this playset. If possible, the playset might have even more than what is shown on the blueprint! 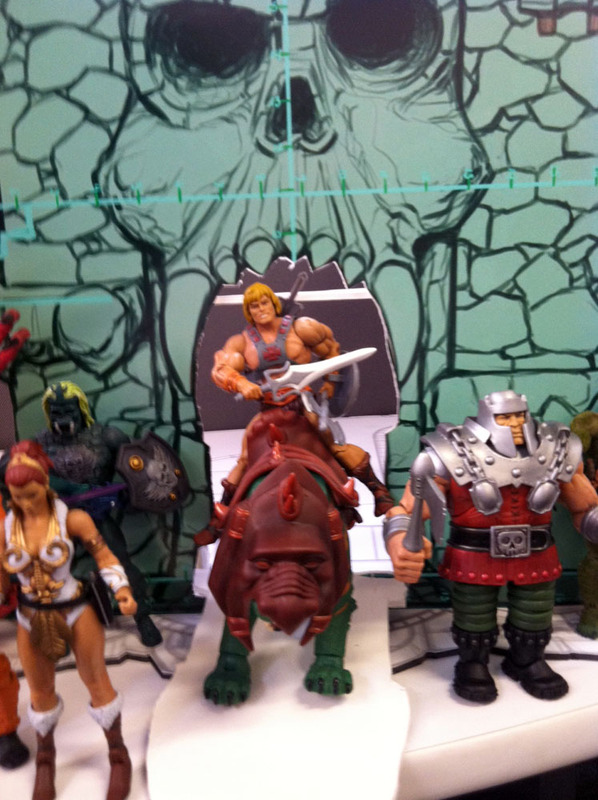 Check out the cool new mockup images of Grayskull below showing its proposed size along with MOTUC figures. If the preorder is met, Matty will give fans the chance to vote for the characters shown on the boxart (5 heroes & 5 villains). Details for voting will be worked out and debuted at a later date if the preorder minimum is met. Plus, if the preorder is met so the playset is confirmed in time for Mattel's 2013 production schedule, sales for Grayskull can stay open longer for additional orders! Please be sure to check out MOTU and POP podcacsts like Roast Gooble Dinner and Council of the First Ones for more info from Scott about the playset. Check out a summary of info thus far at CastleGrayskull.info thanks to It's All True.net. And please help spread the word by sharing the fun Grayskull commercials by fans like Pixel Dan Eardley, Daniel Benedict and Johnny Bilson. This is it, folks! For the longest time a MOTUC Grayskull seemed impossible. But thanks to the talents of the Four Horsemen, the constant efforts of Scott Neitlich and the support and passion of fans like you, this playset could happen. Please preorder before 11:59pm PDT today. Let's make this dream become reality.